For the fictional being related to this article, see Colour out of space (species). Lovecraft began writing "The Colour Out of Space" immediately after finishing his previous short novel, The Case of Charles Dexter Ward, and in the midst of final revision on his horror fiction essay "Supernatural Horror in Literature". Seeking to create a truly alien life form, he drew inspiration from numerous fiction and nonfiction sources. First appearing in the September 1927 edition of Hugo Gernsback's science fiction magazine Amazing Stories, "The Colour Out of Space" became one of Lovecraft's most popular works, and remained his personal favorite of his short stories. It was adapted into feature films in 1965, 1987, and 2010. An unnamed surveyor from Boston, telling the story in the first-person perspective, attempts to uncover the secrets behind a shunned place referred to by the locals of Arkham as the "blasted heath". Unable to garner any information from the townspeople, the protagonist seeks out an old and allegedly crazy man by the name of Ammi Pierce, who relates his personal experiences with a farmer who used to live on the cursed property, Nahum Gardner. Pierce claims that the troubles began when a meteorite crashed into Gardner's lands in June 1882. The meteorite shrinks but does not cool, and local scientists cannot discern its origin. As it shrinks, it leaves behind globules of colour which are referred to as such only by analogy, as they fall outside the range of anything known in the visible spectrum. The stone is eventually destroyed by six bolts of lightning, and the lab specimens are destroyed when placed in a glass beaker. The following season, Gardner's crops grow unnaturally large and abundant. When he discovers that, despite their appearance, they are inedible, he becomes convinced that the meteorite has poisoned the soil. Over the following year, the problem spreads to the surrounding vegetation and local animals, altering them in unusual ways; the plants around the farmhouse become "slightly luminous in the dark". Gardner's wife goes mad, and he locks her in the attic. Over time, Gardner isolates his family from the neighboring farmers; Pierce becomes his only contact with the outside world. Shortly after the onset of Mrs. Gardner's madness, the vegetation erodes into a grey powder, and the water from the well becomes tainted. One of Gardner's sons, Thaddeus, also goes mad, and Gardner locks him in a different room of the attic. The livestock turns grey and dies off; like the crops, their meat is tasteless and inedible. Thaddeus dies in the attic. Merwin, another of Gardner's sons, vanishes while retrieving water from the contaminated well. After two weeks with no contact from Gardner, Pierce visits the farmstead and witnesses the tale's eponymous horror in the attic. Gardner's final son, Zenas, has disappeared, and the "colour" has infected Nahum's wife, whom Pierce puts out of her misery. Pierce flees the decaying house as the horror destroys the last surviving resident, Nahum. Pierce returns later that day to the farmstead with six men, including a doctor, who examine Nahum's remains. They discover both Merwin and Zenas' eroding skeletons at the bottom of the well, as well as bones of several other creatures. 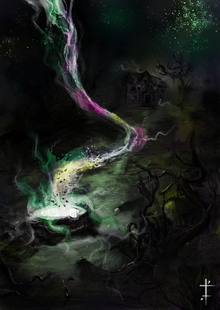 As they reflect upon their discoveries in the house, a light begins to shine from the well; this becomes the "colour", which spreads over everything in the vicinity. The men flee the house just as the horror blights the land and then flies into the sky. Pierce alone turns back after the "colour" has gone; he witnesses a small part of it try to follow the rest, only to fail and return to the well. The knowledge that part of the alien still resides on Earth is sufficient to disturb his mental state. When some of the men return the following day, they find only a dead horse and acres of grey dust. The Gardners' neighbours leave their homes and flee the area. Lovecraft began writing "The Colour Out of Space" in March 1927, immediately after completing The Case of Charles Dexter Ward. As he wrote the tale, however, he was also typing the final draft of his essay on horror fiction, "Supernatural Horror in Literature". Although the author himself claimed that his inspiration was the newly constructed Scituate Reservoir in Rhode Island, Lovecraft scholar S. T. Joshi believes that the planned Quabbin Reservoir in Massachusetts must have influenced him as well. 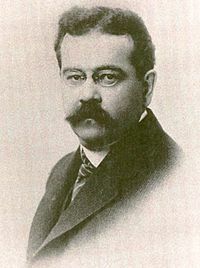 American writer and pulp fiction enthusiast Will Murray cites paranormal investigator Charles Fort, and the "thunderstones" (lightning-drawing rocks that may have fallen from the sky) he describes in The Book of the Damned, as possible inspirations for the behavior of the meteorite. Andy Troy argues that the story was an allegory for the coverage of the Radium Girls scandal in The New York Times, with the symptoms of the Gardners matching the newspaper's description of radium necrosis. Lovecraft was dismayed at the all-too human depiction of aliens in other works of fiction, and his goal for "Colour" was to create an entity that was truly alien. In doing so, he drew inspiration from a number of sources describing colors outside of the visible spectrum. Most notably, Joshi points to Hugh Elliott's Modern Science and Materialism, a 1919 nonfiction book that mentions the "extremely limited" senses of humans, such that of the many "aethereal waves" striking the eyes, "The majority cannot be perceived by the retina at all." Lovecraft had used this concept previously, in his 1920 short story, "From Beyond". Completed by the end of March, "The Colour Out of Space" first appeared in Hugo Gernsback's science fiction magazine, Amazing Stories in September 1927. The story was illustrated by J. M. de Aragón, an artist who produced occasional artwork for the magazine. "The Colour Out of Space" became the only work from Amazing Stories to make Edward O'Brien's anthology of The Best American Short Stories, appearing in the 1928 "Roll of Honor". Gernsback paid Lovecraft only $25 (approximately $361 in present-day terms) and was late in doing so, leading Lovecraft to refer to the publisher as "Hugo the Rat". He never again submitted anything to the publication. Lovecraft did not write another major short story until the following year, when he crafted "The Dunwich Horror", although he did pen "History of the Necronomicon" and "Ibid" as minor works in-between, as well as an account of a Halloween night's dream that he called "The Very Old Folk". In addition to being Lovecraft's personal favourite of his short stories, critics generally consider "The Colour Out of Space" one of his best works, and the first with his trademark blending of science fiction and horror. Lovecraft scholar Donald R. Burleson referred to the tale as "one of his stylistically and conceptually finest short stories." Joshi praises the work as one of Lovecraft's best and most frightening, particularly for the vagueness of the description of the story's eponymous horror. He also lauded the work as Lovecraft's most successful attempt to create something entirely outside of the human experience, as the creature's motive (if any) is unknown and it is impossible to discern whether or not the "colour" is emotional, moral, or even conscious. His only criticism is that it is "just a little too long". E. F. Bleiler described "The Colour Out of Space" as "an excellent story, one of Lovecraft's finest works; in my opinion the best original story to appear in Amazing Stories". The text of "The Colour Out of Space", like many of Lovecraft's works, has fallen into public domain and can be accessed in several compilations of the author's work, as well as on the Internet. It also had a strong influence on Brian Aldiss's The Saliva Tree, which has been seen as a rewriting of Lovecraft's tale. In 1984, the novel The Color Out of Time by Michael Shea was published as a sequel to the original novelette. The 1965 film Die, Monster, Die!, directed by Daniel Haller, is based on "The Colour Out of Space". The film stars Nick Adams, Suzan Farmer, and Boris Karloff. Lovecraft scholar Don G. Smith claims that, of the scenes that are derived from Lovecraft's work, the "blasted heath doesn't live up to Lovecraft's description" and asserts that, overall, the film does not capture Lovecraft's intent to "...play...with the idea of an alien life form completely different from anything humans can imagine." Smith considers Haller's work an imitation of Roger Corman's Edgar Allan Poe films, rather than a serious attempt to adapt Lovecraft's tale. Another adaptation, The Curse (1987), was directed by David Keith and stars Wil Wheaton, Claude Akins, Cooper Huckabee, and John Schneider. It more closely follows the plot of Lovecraft's work, albeit set in the 1980s. Lovecraft scholar Charles P. Mitchell referred to the film as faithful to the author's original work, but Mitchell claimed that "[t]he last twenty minutes of the film are so disjointed that they virtually ruin the entire film". The 2008 film Colour from the Dark, directed by Ivan Zuccon, is an adaptation set in Italy. The film stars Michael Segal, Debbie Rochon, Marysia Kay, Gerry Shanahan, and Eleanor James. Bloody Disgusting praised the film, stating Zuccon "managed to do the famous writer’s twisted tale of unseen terror a really fair share of justice by capturing the bleak, grotesque and utterly frightening atmosphere of the source material very, very well." The 2010 film Die Farbe (The Color), directed by Huan Vu, is an adaptation set in Germany. It is shot mainly in black and white, the exception being the "Colour" itself. S. T. Joshi described it as "the best Lovecraft film adaptation ever made". The 2018 film Annihilation — itself based on the 2014 novel of the same name by Jeff VanderMeer — contains numerous plot similarities with Lovecraft's story, most prominently a colorful alien entity that crash lands on earth and begins mutating nearby plant and animal life. Stephen King says that his 1987 novel The Tommyknockers, in which residents of a small town in rural Maine are physically and mentally affected by the emanations from an alien ship unearthed in the nearby woods, and a major character is also named Gardner, was strongly influenced by "The Colour Out of Space." Like many of his works at that time, it was adapted into a TV miniseries, broadcast in 1993; in 2018 it was reportedly to be developed as a feature film. ^ a b c d e f Lovecraft, H. P. (2008). H. P. Lovecraft: Complete and Unabridged. New York City: Barnes & Noble. p. 1098. ISBN 978-1-4351-0793-9. ^ Burleson, Donald R. (1983). H.P. Lovecraft, a critical study. Westport, Connecticut: Greenwood Publishing Group. p. 243. ISBN 0-313-23255-5. ^ a b c Joshi, S. T. (2001). A dreamer and a visionary: H.P. Lovecraft in his time. Liverpool University Press. p. 422. ISBN 0-85323-946-0. ^ Murray, Will, "Sources for 'The Colour Out of Space'", Crypt of Cthulhu No. 28 (Yuletide 1984), pp. 3-5; cited in S. T. Joshi, Annotated Lovecraft, p. 70. ^ a b c d Joshi, S. T. (1996). A Subtler Magick: The Writings and Philosophy of H. P. Lovecraft. Rockville, Maryland: Wildside Press. p. 316. ISBN 1-880448-61-0. ^ a b c Joshi, S. T.; Schultz, David E. (2001). An H.P. Lovecraft encyclopedia. Westport, Connecticut: Greenwood Publishing Group. pp. 43, 294. ISBN 0-313-31578-7. ^ Ashley, Mike; Lowndes, Robert A. W. (2004). The Gernsback Days: A Study of the Evolution of Modern Science Fiction From 1911 to 1936. Rockville, Maryland: Wildside Press. p. 80. ISBN 0809510553. ^ a b Ashley, Michael (2000). The History of the science fiction magazine. Liverpool University Press. p. 320. ISBN 0-85323-855-3. ^ Burleson, Donald R. (1990). Lovecraft: disturbing the universe. University Press of Kentucky. p. 170. ISBN 0-8131-1728-3. 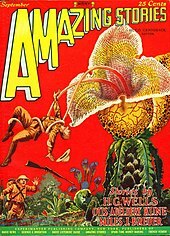 ^ Bleiler, E. F. and Bleiler, Richard, Science-fiction : the Gernsback years : a complete coverage of the genre magazines from 1926 through 1936. Kent, Ohio : Kent State University Press, 1998. ISBN 9780873386043 (p. 261-2). ^ Gaiman, Neil (2012). "Short Stories". FAQs » Books, Short Stories, and Films. neilgaiman.com. Retrieved 2012-12-18. ^ D'Ammassa, Don (2009-01-01). Encyclopedia of Fantasy and Horror Fiction. New York City: Infobase Publishing. p. 315. ISBN 1438109091. ^ a b Smith, Don G. (2006). H.P. Lovecraft in popular culture. Jefferson, North Carolina: McFarland & Company. p. 173. ISBN 0-7864-2091-X. ^ Mitchell, Charles P. (2001). The complete H.P. Lovecraft filmography. Westport, Connecticut: Greenwood Publishing Group. p. 249. ISBN 0-313-31641-4. ^ Staff (2008-11-30). "MOVIES: Colour From The Dark". Retrieved 2017-10-27. ^ Joshi, S. T. (2014-05-16). "May 16, 2014". stjoshi.org. Retrieved 2016-03-30. ^ Anderson, Kyle (2018-02-28). "Alex Garland's Annihilation is More Lovecraftian Than You Thought". nerdist.com. Retrieved 2018-03-05. ^ Kaye, Don (2018-04-21). "Stephen King's The Tommyknockers Heads to Universal After Bidding War". SyFyWire. Retrieved 2019-01-31.